We all know that consuming essential fats contained in fish oil can have great health benefits, including supporting heart health and brain function. Getting the right level through diet alone may be difficult, so how do you choose the right supplement? Choosing a fish oil supplement can be complicated. Some fish oil products are marketed as natural, some pure, and some sustainable with no negative impact on the environment. All of these things are important. BioCare® fish oils are all of these things. And more. Purity is vital because fish can pick up a lot of contaminants from polluted waters. Our fish oil comes from wild anchovies and sardines swimming in clear pacific waters. Because these small fish are low down the food chain, they accumulate minimal levels of pollutants. They are then further purified during manufacture using the best possible technology and so easily exceed all levels of purity set out by the EU’s stringent standards. There is no purer fish oil available on the market. Our purity information shows that our fish oil does not go rancid during its shelf-life. Our Multox® antioxidant system protects the oils from rancidity for up to 4 months after opening. Furthermore, we seek to meet the highest independent accreditation standards. Our Mega EPA is accredited by Informed-Sports, a programme which independently tests each batch to ensure the absence of WADA (World Anti-Doping Agency) prohibited contaminants. The fish we use are from deep waters off the coast of Peru in sustainable fisheries. There is no risk of overfishing and in fact, the fish stock population has not changed in size or diversity for over 30 years. Our fish oils are all natural ‘triglyceride’ form, just as they are found in food. This form is known to be the best for the body to use. Other forms such as ethyl ester deliver high levels of EFAs but have been chemically modified to do so and are ultimately not as well used by the body. So although they may look high strength, they may not deliver what they claim. Effectiveness is at the centre of everything we do. Our fish oils are optimally bioavailable. In most products we use a natural lipase enzyme to remove shorter chain fats from triglycerides just as the body would do when digesting them. This NEO-3® process concentrates the oils naturally and makes them easier to digest. 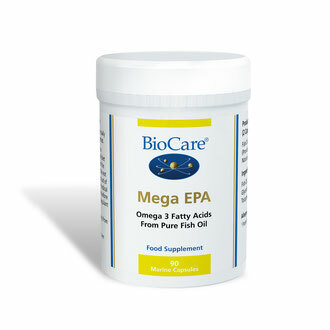 If you need to reach high levels of essential fats, our Omegacare is one of the most potent, yet natural fish oil liquids available and can easily be used to reach high levels of EPA and DHA. 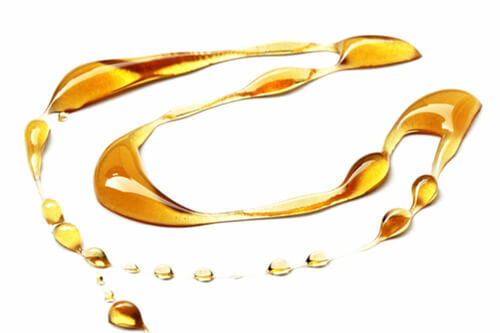 Some of our liquids are also emulsified using our BioMulsion® process. This increases their effectiveness for everyone, especially for those people who have problems with digesting fats. In one scientific study, BioMulsion® increased absorption of EPA threefold and DHA twofold. We also have a range of products to suit everyone. From capsules to tasty liquids, and for adults and children. If you want to avoid fish oil, then we even have a great range of vegetarian and vegan essential fatty acids, including our groundbreaking new Phytomega-3 with vegan EPA and DHA from algae. BioCare’s range delivers potency, efficacy, naturalness, purity and sustainability, so choosing the right fish oil for you, no longer needs to be complicated.